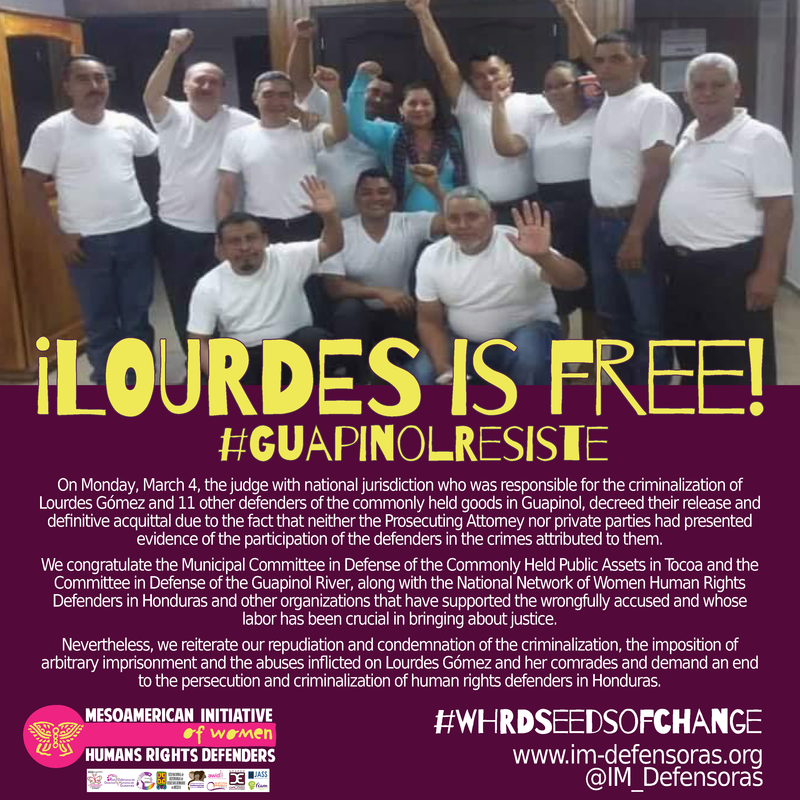 On Monday, March 4, the judge with national jurisdiction who was responsible for the criminalization of Lourdes Gómez and 11 other defenders of the commonly held goods in Guapinol, decreed their release and definitive acquittal due to the fact that neither the Prosecuting Attorney nor private parties had presented evidence of the participation of the defenders in the crimes attributed to them. We congratulate the Municipal Committee in Defense of the Commonly Held Public Assets in Tocoa and the Committee in Defense of the Guapinol River, along with the National Network of Women Human Rights Defenders in Honduras and other organizations that have supported the wrongfully accused and whose labor has been crucial in bringing about justice. 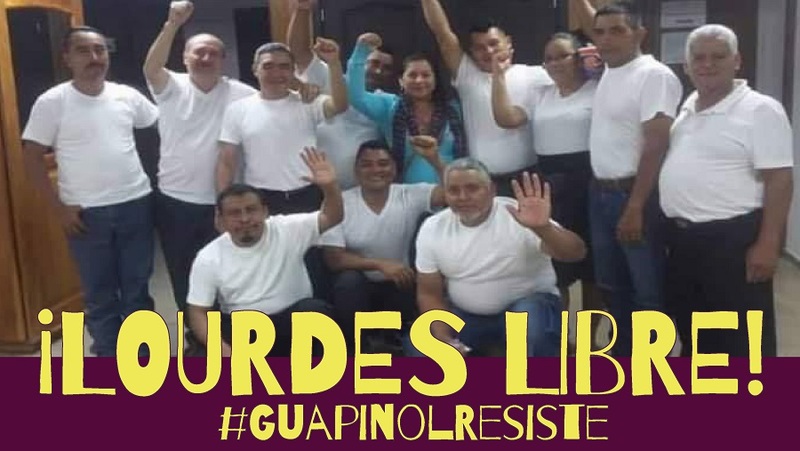 Nevertheless, we reiterate our repudiation and condemnation of the criminalization, the imposition of arbitrary imprisonment and the abuses inflicted on Lourdes Gómez and her comrades and demand an end to the persecution and criminalization of human rights defenders in Honduras.